Salina Police are asking for the public’s help in finding man who has been missing since early December. 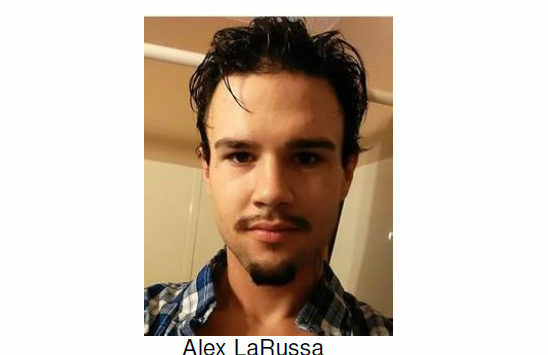 Police say that on Friday, December 15th, Alex Michael LaRussa was reported to the Salina Police Department as a missing person by his family. LaRussa was last seen on Friday, December 8th, in the area of Iron and Ohio at about 9:30 p.m. LaRussa was driving a tan 2004 Ford Explorer with Kansas tags at the time of his disappearance. Alex Michael LaRussa is a 25 year old white male, approximately 6’2”, and weighing about 175 pounds. He has black hair and brown eyes. He is missing his left leg. If you have any information concerning the disappearance of Alex LaRussa, call Crimestoppers at 825-TIPS, text SATIPS to CRIMES (274637), or visit www.pd.salina.org and follow Crimestoppers link to submit a web tip. You may receive a cash reward of up to $1,000 and you are not required to give your name.